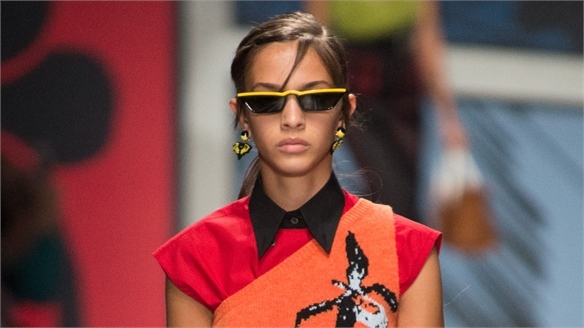 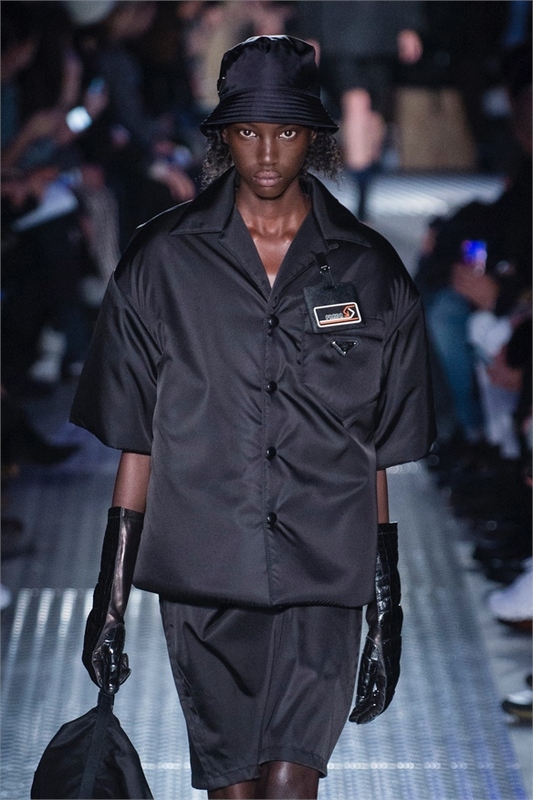 Miuccia Prada revisited the house archive for her latest Pre-Fall womenswear showing, deserting the recent mood for maximalism in favour of a revival of her groundbreaking 90s sportswear looks. 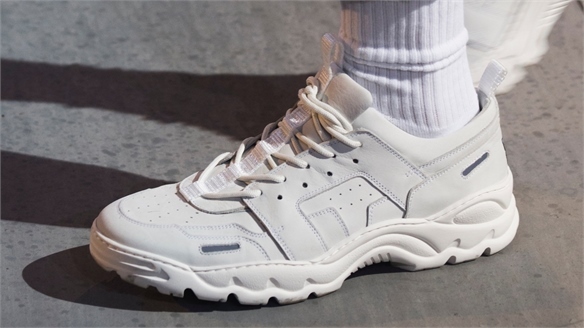 The house’s iconic 80s Pocone nylon was revived and worked into simple pragmatic shapes that looked new and fresh, creating a protective urban uniform. 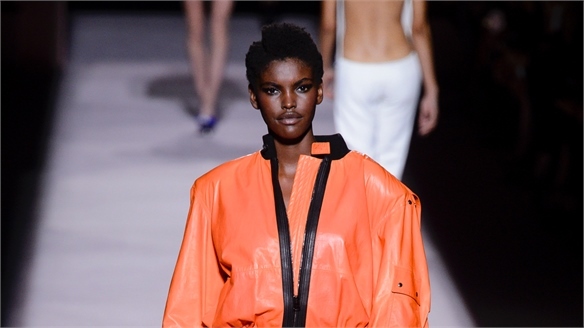 A palette of black and white was punctuated with pops of clean sportswear brights. 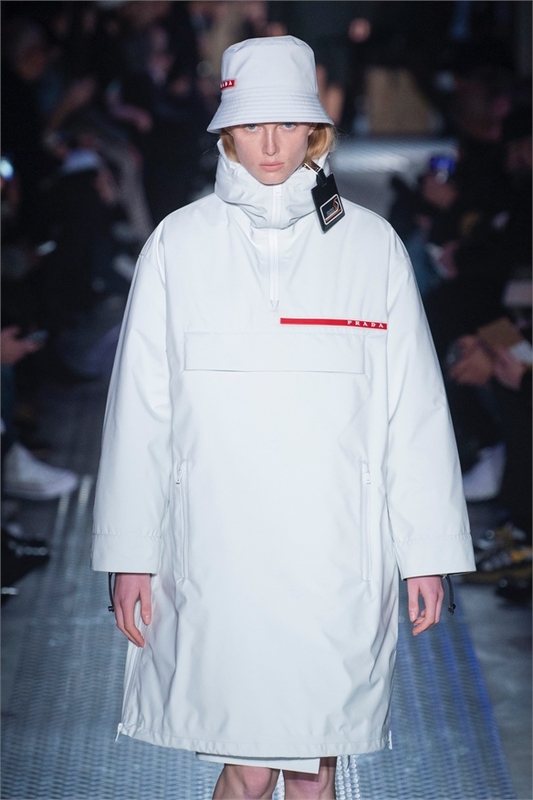 Bold branded logos and selfie-style name tags or identity badges helped compound the uniform feel on softly padded boxy silhouettes. 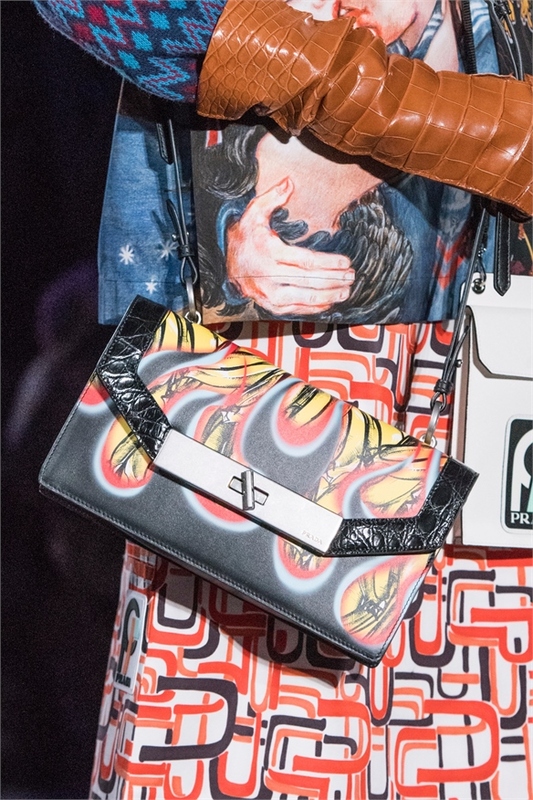 The house’s print archive provided fertile ground for the collection’s mix of print and pattern, with instantly recognisable motifs like the iconic lipstick all-over, ‘bad taste’ 70s-style furnishing geos, Hawaiian florals and an eye-searing flame border placement. 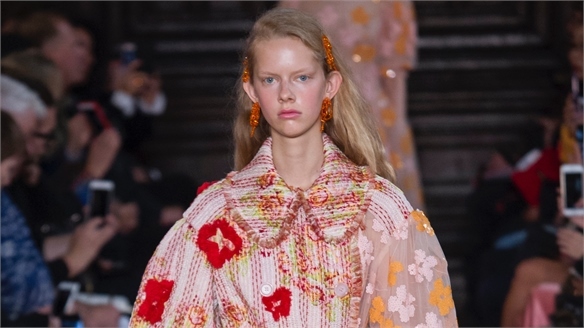 All worked in a happy kaleidoscopic mismatch on simple shirts, knee-length skirts and boxy commuter coats. 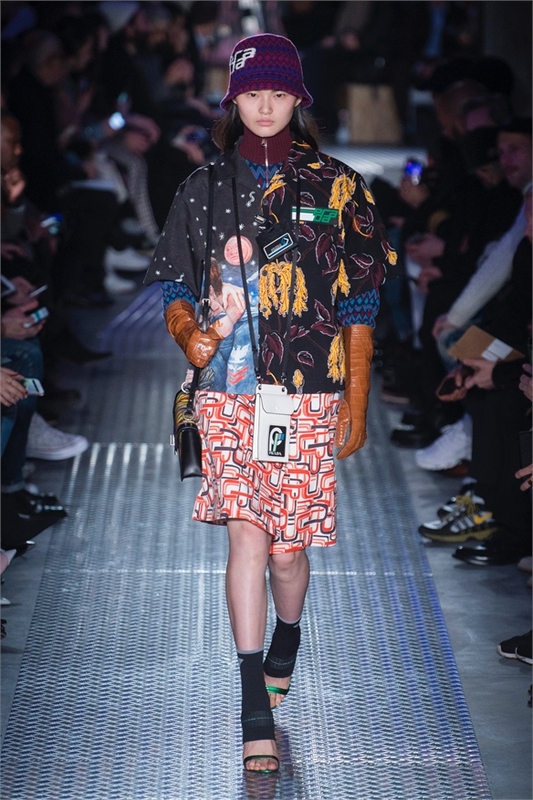 Branding stamped the accessories with a sense of identity, from the Prada jacquard socks to the elastic strappy sandals and those influential name tags that replaced jewellery for Pre-Fall 18. 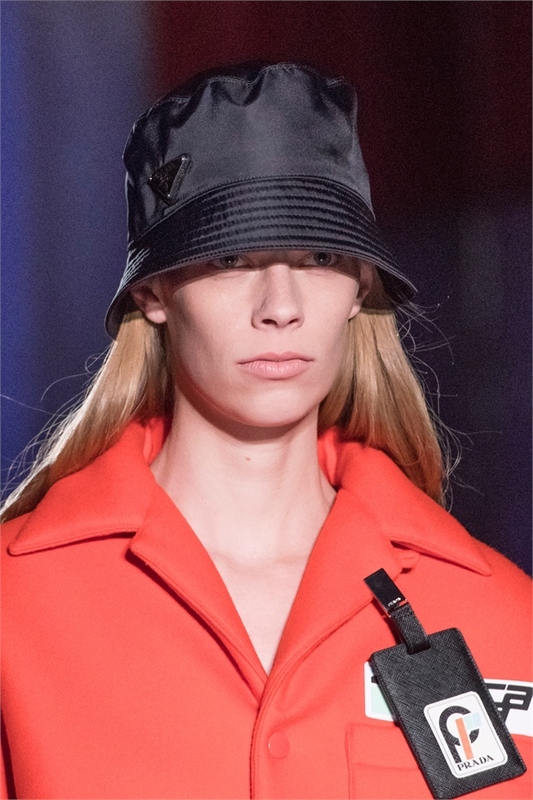 Bags came in elongated boxy profiles – some in eye-catching painted leather, others in a mix of matte leather with glossy croc trims – while nylon bucket hats look set to appear on the high street any day soon. 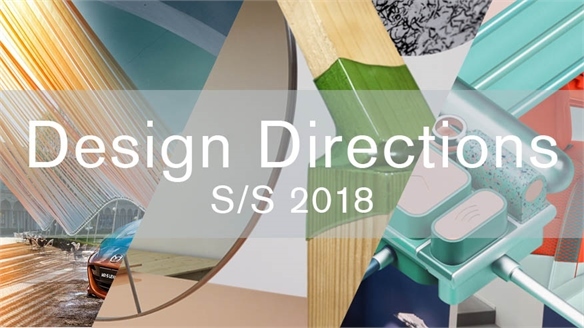 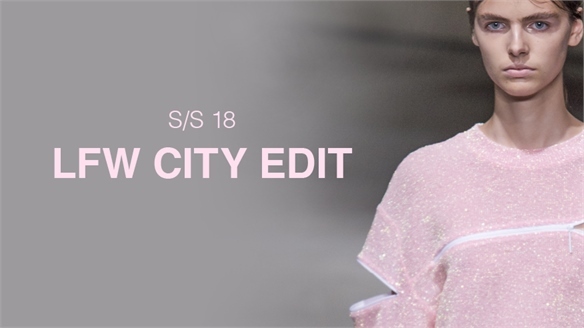 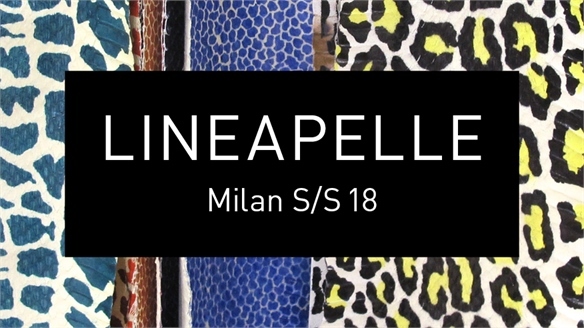 A/W 18/19 Milan: Colour Directions A/W 18/19 Milan: Colour Directions The high street looks set to be a colourful place next winter, with a palette of optimistic brights continuing to be the key look on the A/W 18/19 runways. 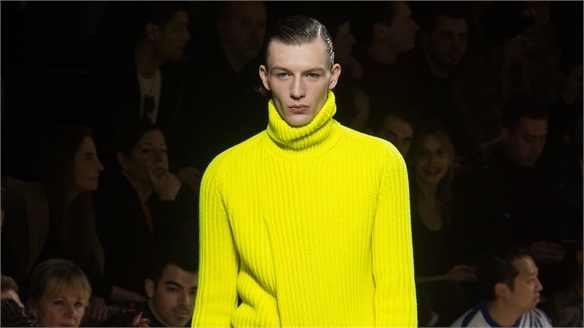 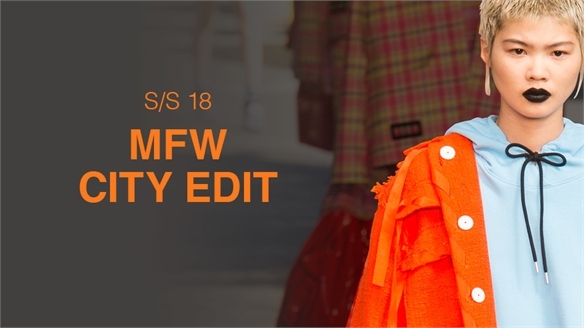 A/W 18/19 Men's Fashion: Colour A/W 18/19 Men's Fashion: Colour Menswear amps up colour for A/W 18/19, with a surprisingly playful and diverse palette adding a sense of newness to core and classic items. 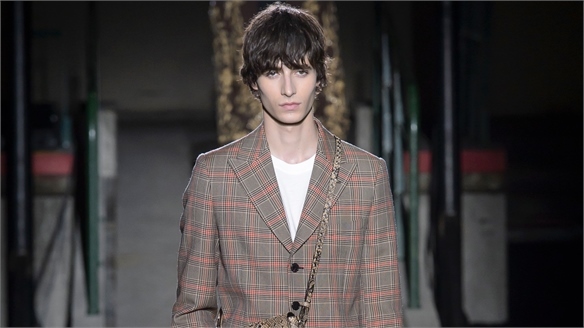 A/W 18/19 Men's Fashion: Fabric A/W 18/19 Men's Fashion: Fabric Sheen and shine, plush surfaces and bold checks give menswear the edge next season, as styling gets a makeover with exciting new fabric directions. 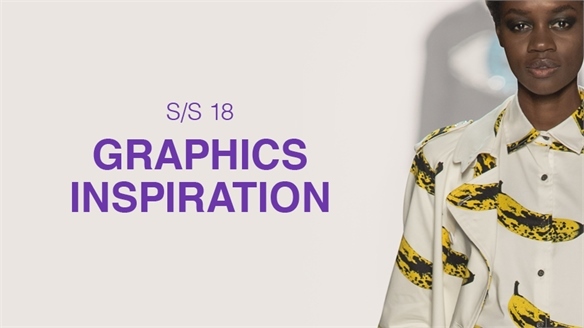 A/W 18/19 Men's Fashion: Print & Pattern A/W 18/19 Men's: Print & Pattern Big bold print statements make A/W 18/19 an exciting season for pattern developments, adding a directional fashion twist to core items. 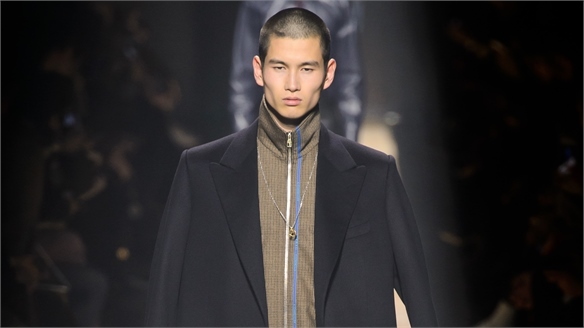 A/W 18/19 Men's Fashion: Key Looks A/W 18/19 Men's Fashion: Key Looks Several strong commercial looks emerged from the A/W 18/19 menswear runways, with an emphasis on great outerwear pieces and the ongoing influence of all things youth/street-inspired. 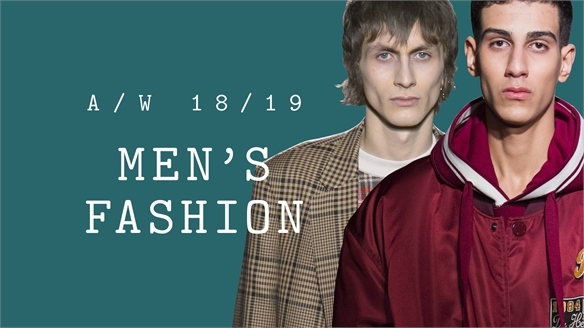 A/W 18/19 Men's Fashion: Key Items A/W 18/19 Men's Fashion: Key Items Strong outerwear, some great commercial knitwear trends and the importance of colour and fabric in updating core items means there’s something for all levels of the market next season. 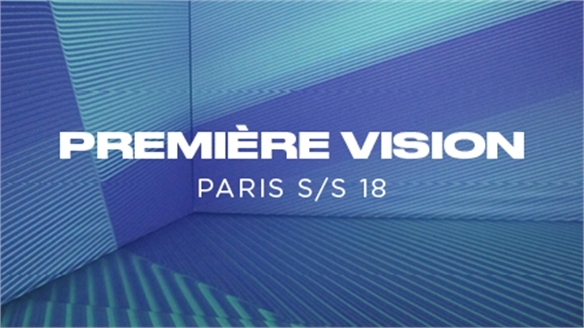 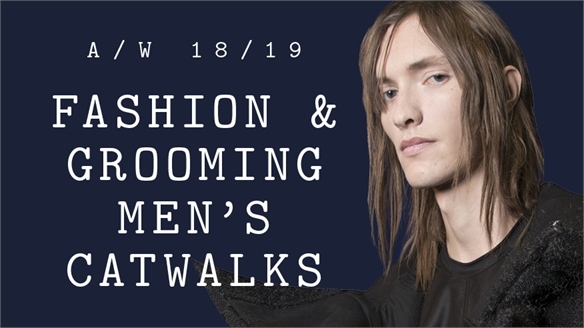 A/W 18/19 Men's Fashion: Footwear A/W 18/19 Men's Fashion: Footwear Rugged outdoor silhouettes dominated footwear in the casual market for A/W 18/19, while the re-emergence of time-tested classic silhouettes brings in fresh updates for formal footwear. 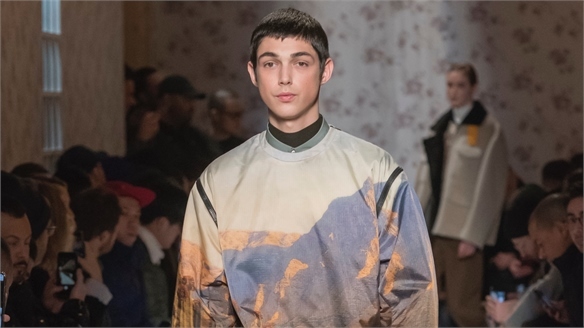 A/W 18/19 Men's Fashion: Accessories A/W 18/19 Men's: Accessories A return to the great outdoors was the key message for men’s accessories for A/W 18/19, with utilitarian shapes, technical fabrics and bold graphics bringing exciting new developments to the coming season. 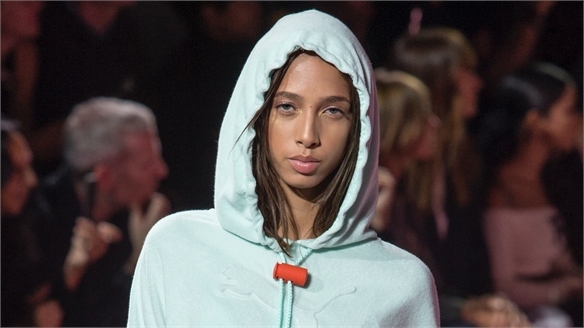 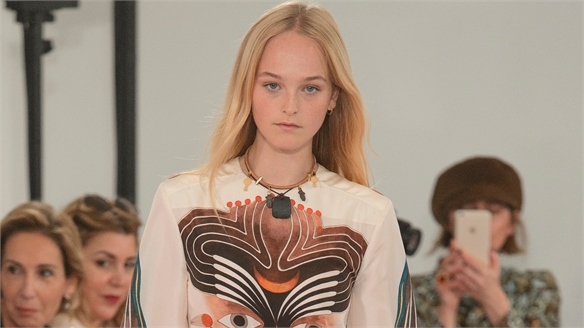 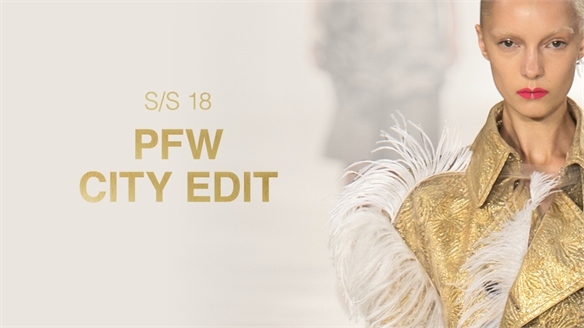 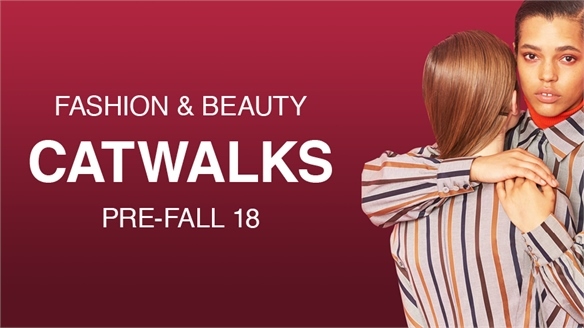 Fashion & Beauty Catwalks: Pre-Fall 18 Catwalks: Pre-Fall 18 Designer pre-collections offer the most commercial view of the season to come. 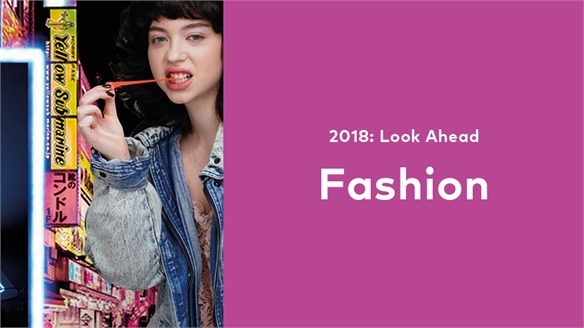 Here is everything you need to know about Pre-Fall 18 fashion and beauty trends. 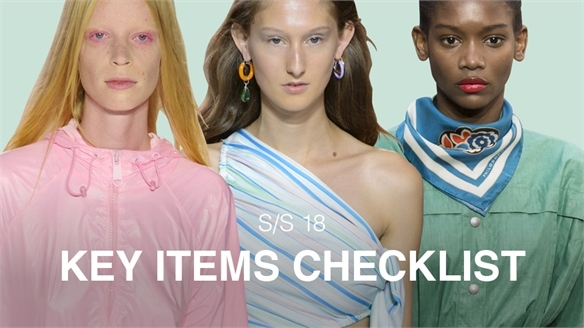 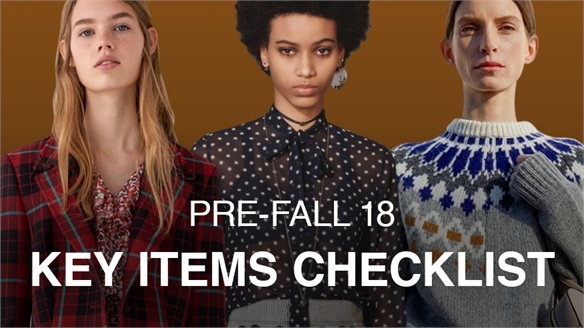 Pre-Fall 18: Key Items Checklist Pre-Fall 18: Key Items Checklist Our Pre-Fall Key Items report is designed to take the stress out of the season by giving you the definitive checklist of must-have new items, as well as the latest seasonal updates for those ongoing commercial bestsellers. 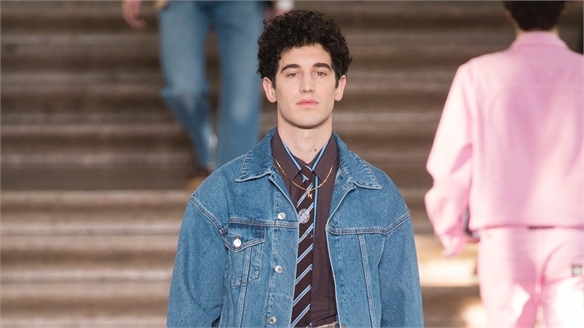 Pre-Fall 18: Tailoring Pre-Fall 18: Tailoring Casual looks may still be driving the market, but we’re seeing tailoring take on a new fashionability, tapping into the season’s emerging trends and new design details. 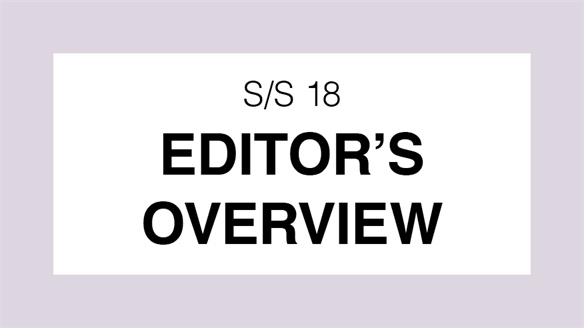 Pre-Fall 18: Details & Trims Pre-Fall 18: Details & Trims Pre-season collections are not always about new design direction but more about new trims and details updating evolving silhouettes. 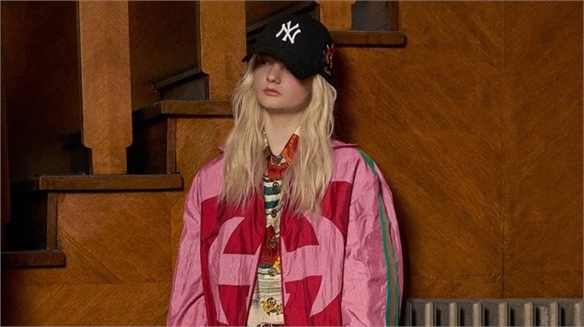 Our Details & Trims checklist highlights the importance of nautical-inspired trims, sports detailing and the emerging mood for all things contrasting. 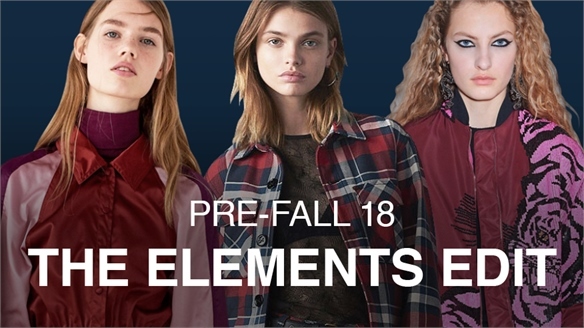 Pre-Fall 18: Dresses Pre-Fall 18: Dresses It’s more about evolutionary looks for Pre-Fall dresses than any new design direction, with asymmetric hems still the primary focus along with the continuation of ruffles and florals. 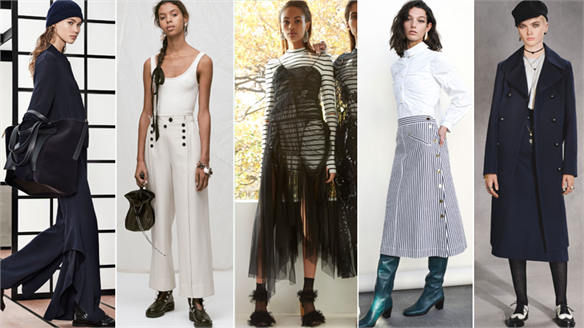 Pre-Fall 18: Skirts Pre-Fall 18: Skirts As we’ve highlighted, Pre-Fall 18 is a strong season for trousers and pants, with skirts sitting the season out on the sidelines. 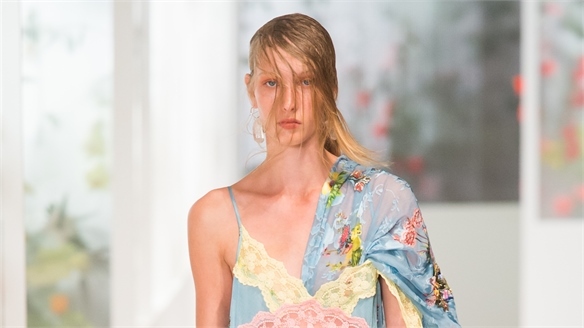 There are, however, two money-in-the-bank skirt silhouettes: the short A-line and the kilt. 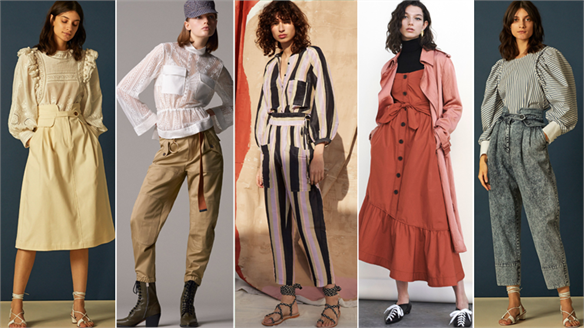 Pre-Fall 18: Pants Pre-Fall 18: Pants Pre-Fall gave us some strong trouser and pant directions, with new silhouettes and plays on proportions making sure this is one of next season’s key product areas for all levels of the market. 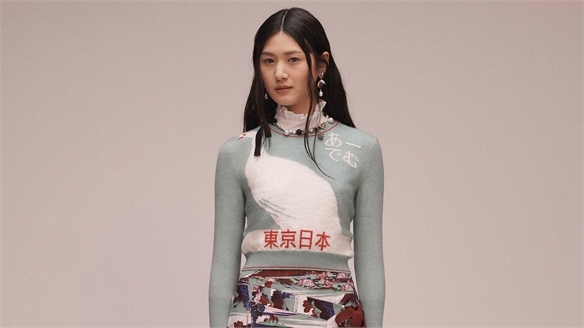 Pre-Fall 18: Tops & Knitwear Pre-Fall 18: Tops & Knitwear Pre-Fall 18 has turned out to be a slow season for new top and knitwear directions, with a focus on easy shapes and novelty patterns updating core items. 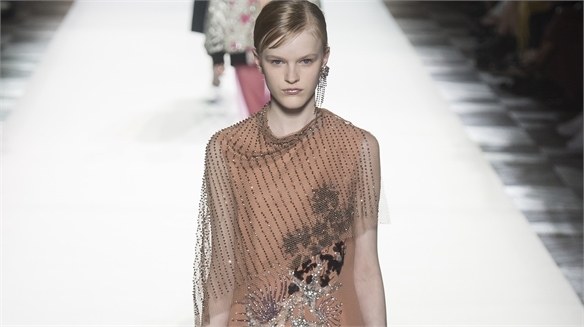 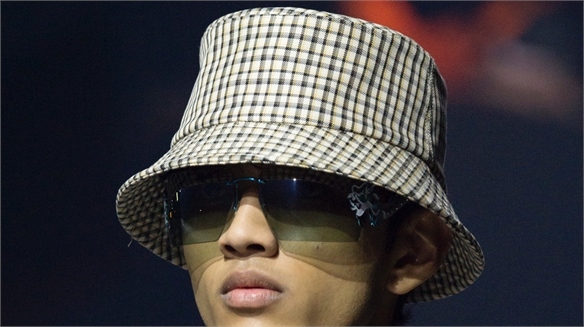 Hopefully the upcoming ready-to-wear collections will deliver more directional looks. 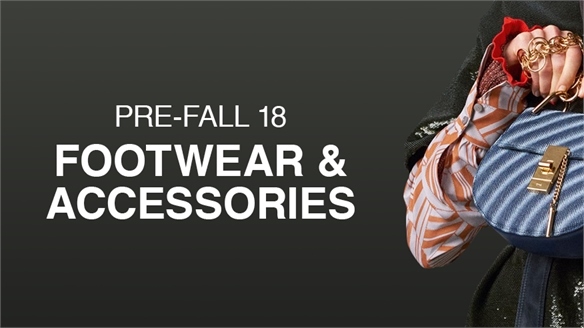 Pre-Fall 18: Footwear & Accessories Edit Pre-Fall 18: Footwear & Accessories A warm, protective mood and the return of the boot were key takeaways from Pre-Fall 18, with a western influence permeating both footwear and accessories. 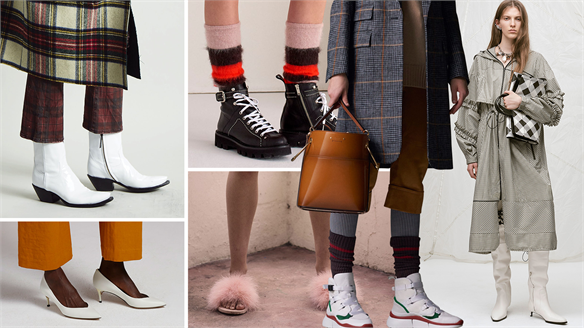 Pre-Fall 18: Footwear Edit Pre-Fall 18: Footwear Edit Boots were big news in footwear for Pre-Fall 18, while commercial favourites were given a decorative twist. 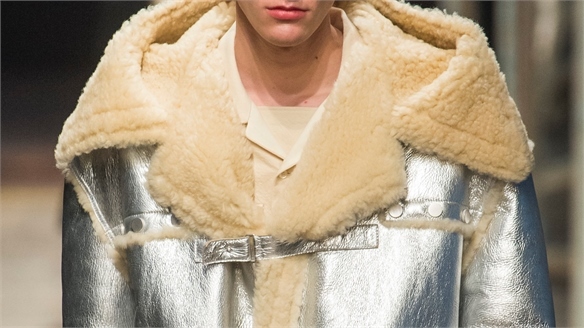 Overall we saw a protective and cosy mood permeate the presentations, setting us on a clear course for next winter. 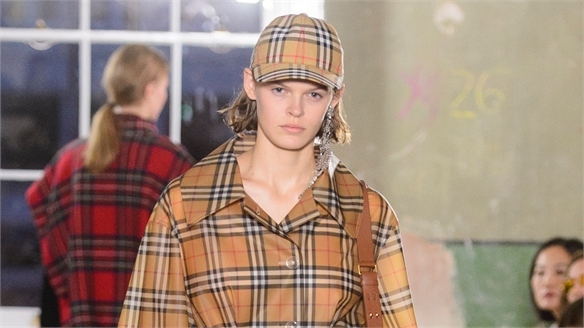 Pre-Fall 18: Accessories Edit Pre-Fall 18: Accessories Edit The slow and steady burn of bag trends continues as we see hats emerge as the new must-have item for Pre-Fall 18. 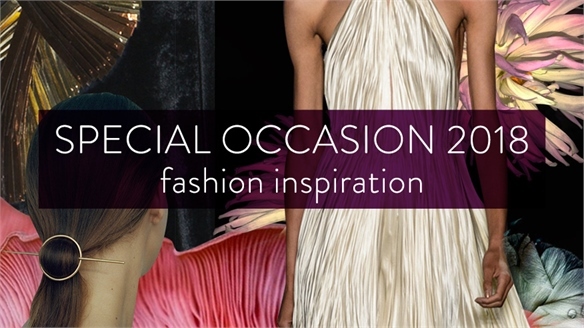 The season’s colour palette combines a mix of rich brights with the unexpected contrast of pale, fresh neutrals. 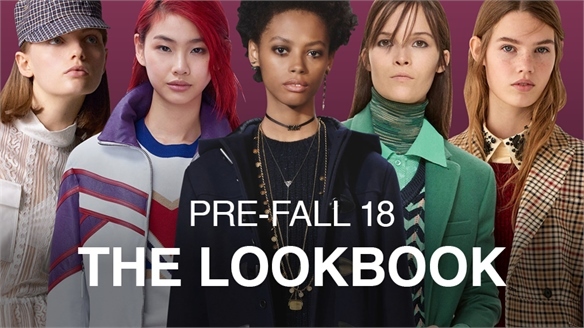 Pre-Fall 18: The Lookbook Pre-Fall 18: The Lookbook Pre-Fall 18 delivers on highly bankable pieces. 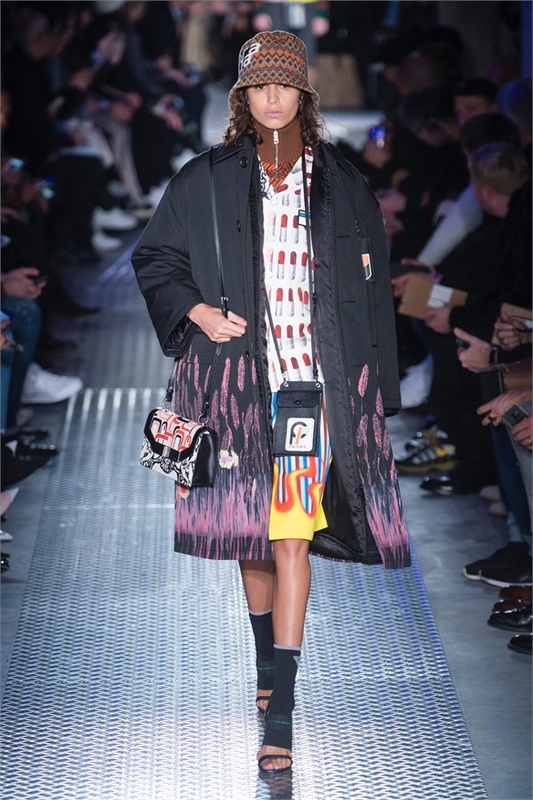 Now accounting for around 80% of designer fashion revenues, the pre-collections are a great commercial barometer of the season to come. 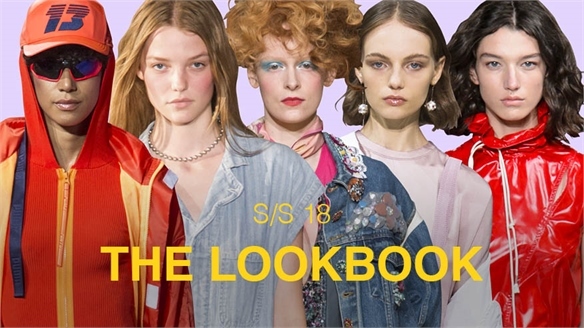 These are the four looks that will drive fashion product sales and visual marketing supports this autumn. 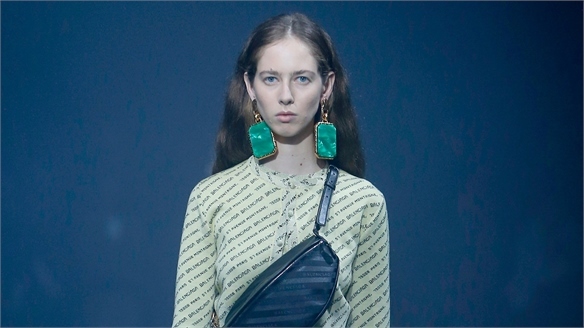 Pre-Fall 18: Maritime Mood Pre-Fall 18: Maritime Mood A nautical theme for transition into Autumn/Winter always makes commercial sense, and for Pre-Fall 18, we see a maritime mood emerging with key historical reference points. 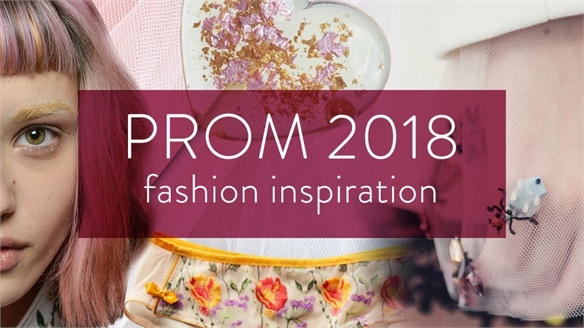 See Back to School Fashion Inspiration 2018 and our Reorder Fashion Forecast trend for more on this practical and ever-popular lead-in to the season. 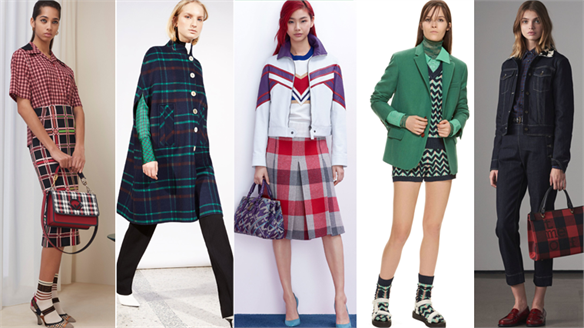 Pre-Fall 18: Preppy Modern Pre-Fall 18: Preppy Modern As with nautical themes, a clean-lined preppy opening to the Autumn/Winter season can spell commercial gold. 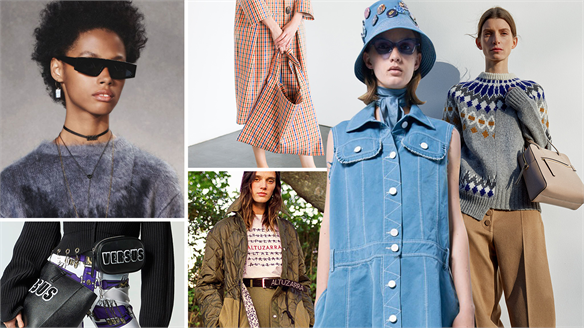 For Pre-Fall 18, this means a mod-like, 60s collegiate look that will appeal cross-territory. 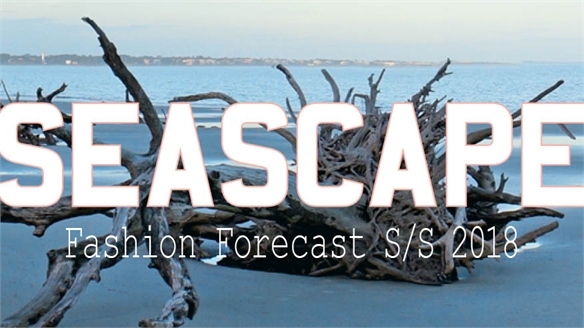 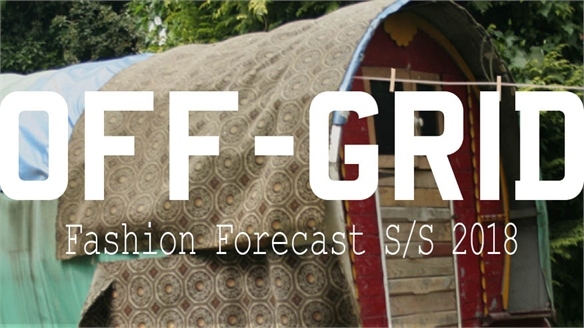 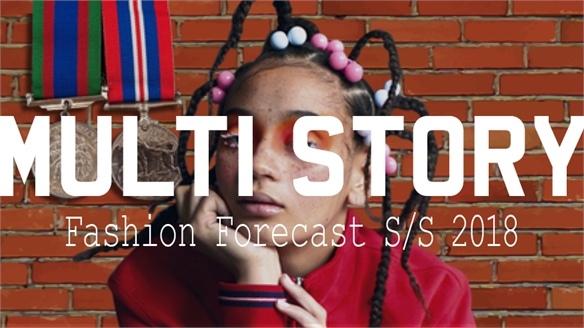 See our 2018 Back to School Fashion Inspiration report and our Reorder Fashion Forecast trend for more on pragmatic styling for the transition period. 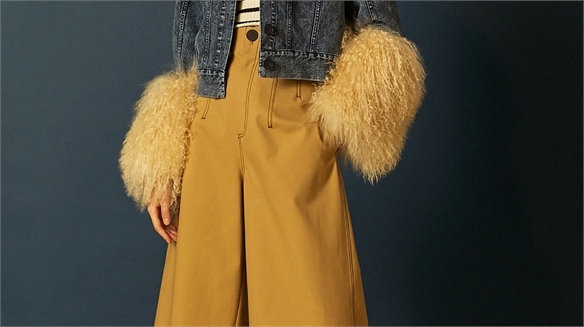 Pre-Fall 18: 80s Gaucho Pre-Fall 18: 80s Gaucho Our love affair with frills and ruffles sees no sign of abating as Pre-Fall delivers a surprising take (for Autumn) on the ever-popular Gaucho theme. 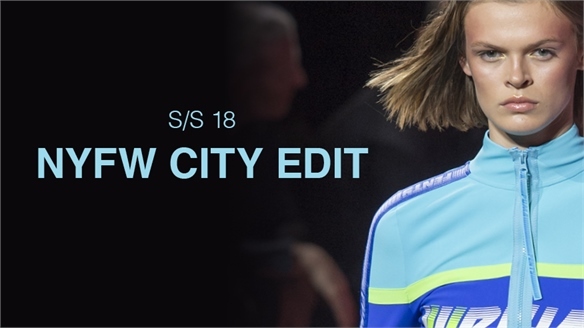 This season sees it updated with a clever late 70s/early 80s twist which, despite not looking completely new, makes real commercial sense. 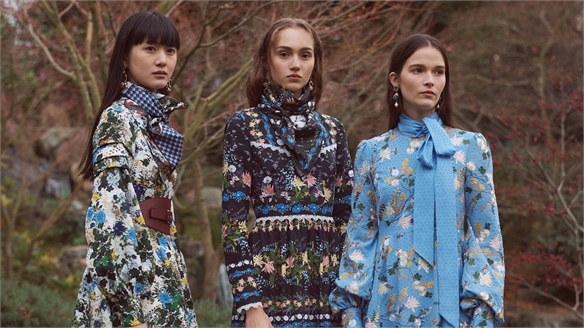 Pre-Fall 18: English Eccentric Pre-Fall 18: English Eccentric The maximal mood of creative dressers takes a heritage-inspired turn for Pre-Fall 18, full of quirky country house inspiration. 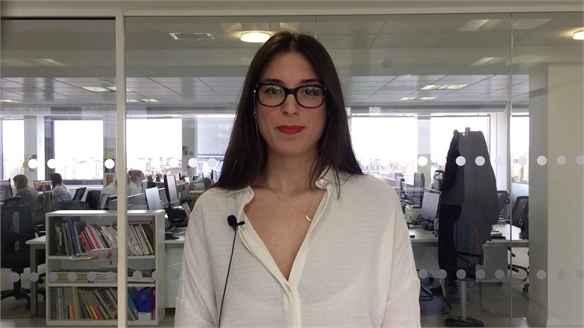 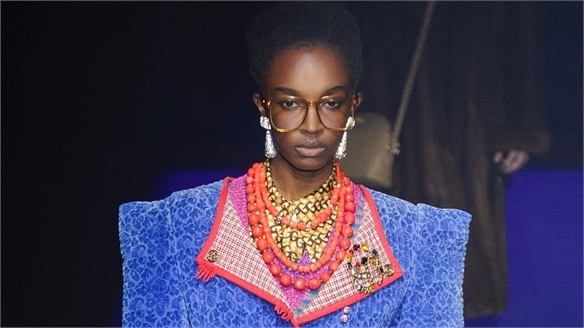 This look is really a major styling statement rather than being driven by any key items – so take note for visual marketing supports, editorial content and campaign activity cross-industry. 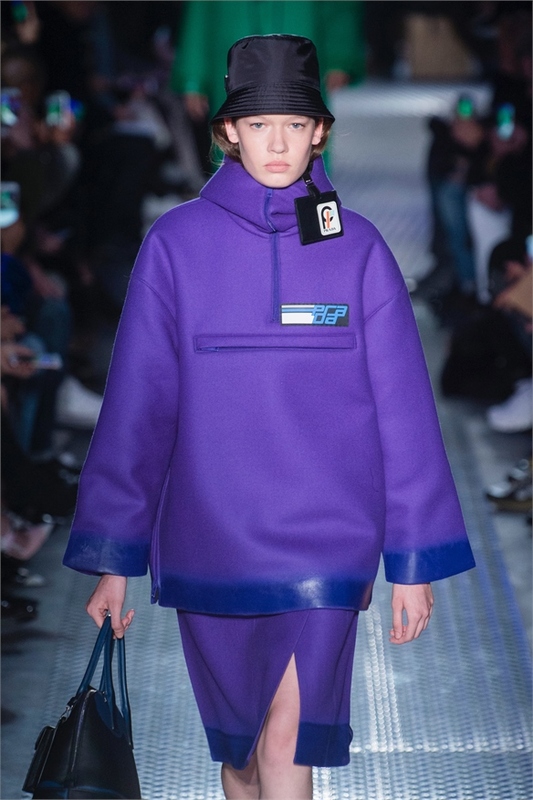 Pre-Fall 18: Colour Directions Pre-Fall 18: Colour Directions A palette of bold brights marks an optimistic mood for Pre-Fall 18. 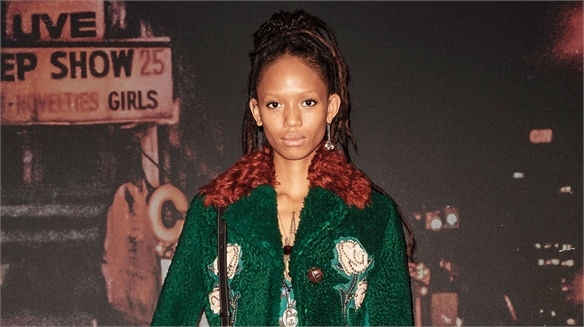 Hot red leads the colour revolution, coupled with a commercial level of rich autumnal tones, a surprising pop of chalked pastels, and a revival of the classics. 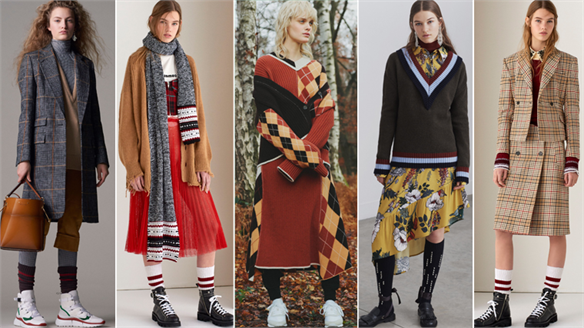 Pre-Fall 18: Print & Pattern Pre-Fall 18: Print & Pattern The Pre-Fall 18 shows were low on directional print trends this season, as designers opted for pattern play via a medley of plaids and checks. 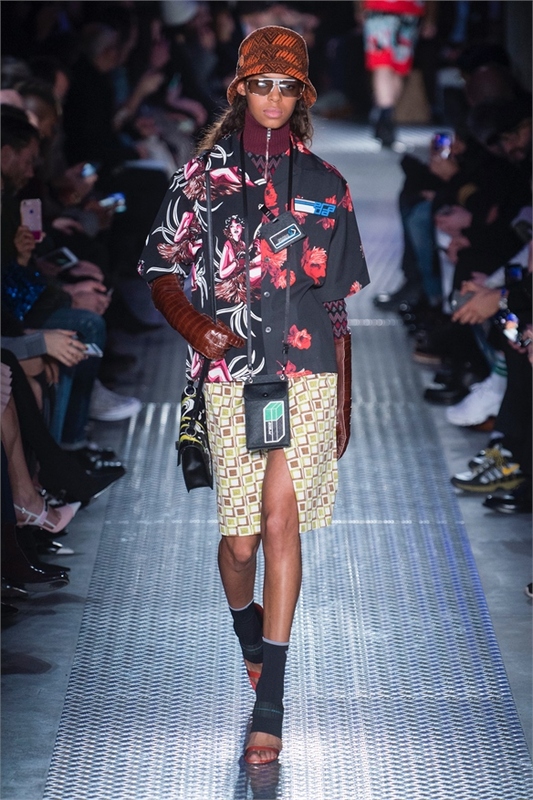 Instead, commercial favourites got a makeover – so expect to see skin prints, dark-ground florals and the ongoing mood for branded logos. 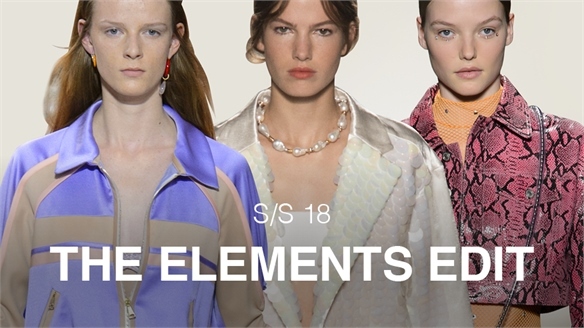 Pre-Fall 18: The Elements Edit Pre-Fall 18: The Elements Edit There was something for everyone in the latest Pre-Fall collections. 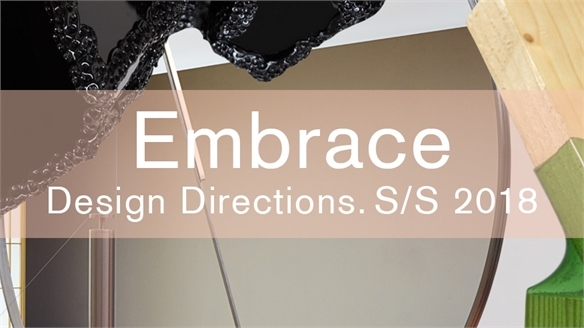 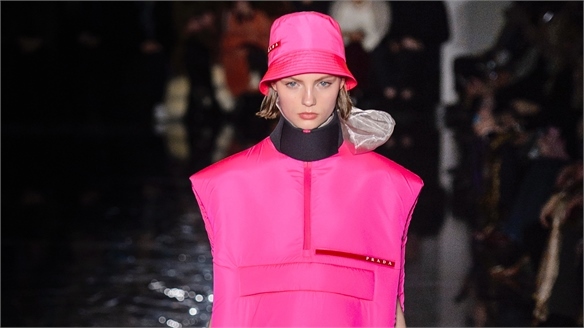 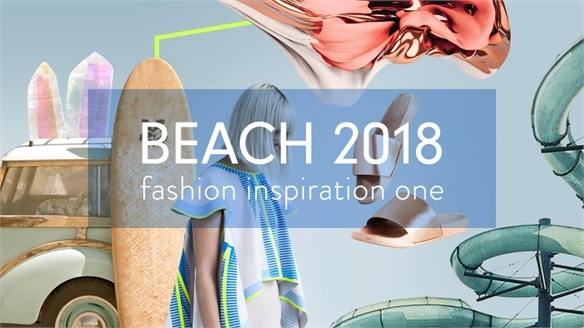 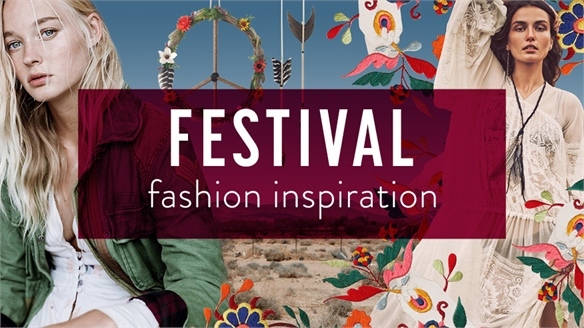 While new trend directions were thin on the ground, there was a comforting mood of familiarity about many of the diverse looks on offer, with designers opting for recalibration over invention.